Android users have a powerful, new weapon in the war against unwanted phone calls. 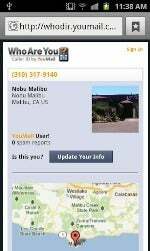 The weapon is in the latest version of the free Android apps, YouMail and WhoAreYou?. It allows you to "ditch" calls by tapping “menu" and “ditch" on the viewing pages for any voicemail, hangup or contact. That will prevent the caller from leaving you messages. What's more, your phone won't even ring when they call, a feature that's possible because of the deeper system integration Android apps have compared to some other operating systems. But not only is the call blocked and the ring choked, but the app administers a coup de grace on the call by responding to it with a "this number is out of service" message. That ruse often works better for getting your phone number off a telemarketer's list than putting it on the Do Not Call list. In addition to the ditch calls feature, YouMail has redesigned its app 's user interface. "Yeah, we know we've sort of sucked in terms of design," it confessed in a company blog. It has also improved the app's contact handling, added searching of voice mails and customized greetings for individual contacts. 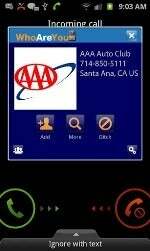 The company is also working on integrating the ditch call feature into its iOS version of its app. Initial reaction appears to be mixed to the new version of YouMail, which has a user rating of 3.7 out of five stars based on more than 3000 reviews in Google Play. "Well the look is awesome, the interface superb, but how about the functionality?" asked "DP" at the newly named store. "This version doesn't appear to be connected at all. I dial the code. I hear the beeps. But no YouMail for me." "When this app first came out for the Android it was absolutely a wonderful app," wrote "croger." "Now, I am sorry to say it is horrible." "Been sketchy for a while now," "T." observed. "But the latest update looks like someone has taken the helm again." "This is THE BEST voicemail program I have ever had," gushed "Roger Hastings." "Loaded with features." According to YouMail, which estimates it has more than two million users of its apps, the company is trying to rework traditional telecom functions and add value to them. That can sometimes irk old line providers of those services. 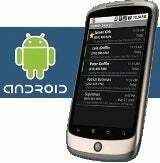 For instance, T-Mobile, which provides a visual voice mail service similar to YouMail's, had YouMail's apps temporarily removed from the Android Market for disrupting its network. The problem was eventually solved and YouMail's apps were reinstated in the market.